My last post on the EA kayak, probably should be called EC kayak for Eastern Canadian kayak, mentioned that I blocked in the keelson. But I didn't have any photos yet. Now I do. 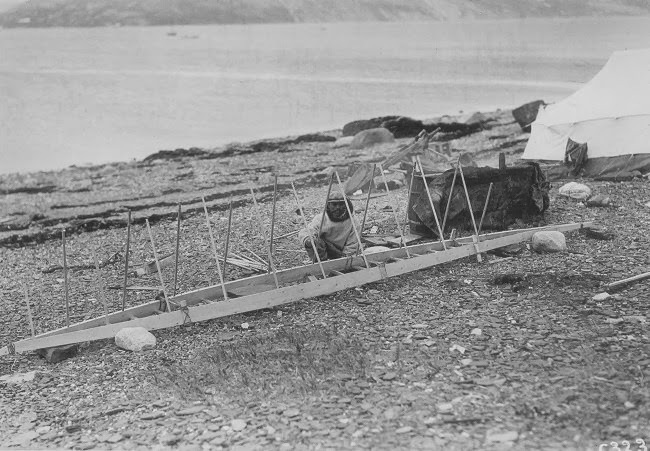 This view shows the pieces of two by four that hold the keelson at the desired distance from the deck. Pieces of rope hold the chunks of wood in place. Here's an overview of the entire assembly. I installed a block of wood at each deck beam. 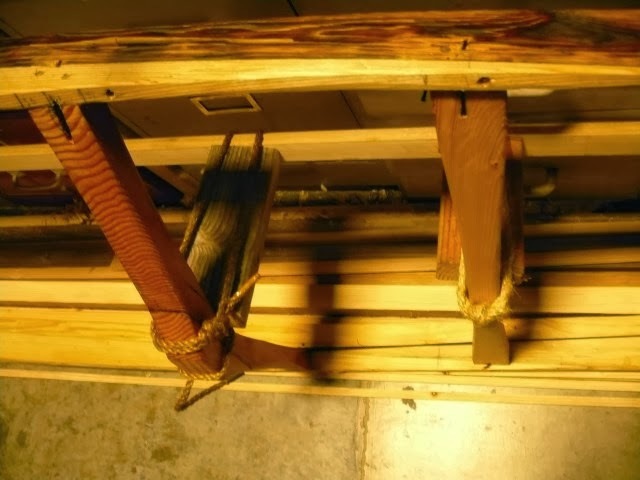 I usually do this since when I install steam bent ribs; they push up on the keelson and distort its shape unless I lash the keelson down very securely. But in this case, the ribs will be flat and exert no pressure on the keelson and so would not need all this blocking. I kept the keelson pretty straight. 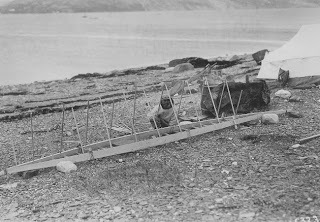 Regular EA kayaks have some upsweep near the stern to let the kayak turn into the wind when the hunter is approaching game. But for recreational kayak, turning into the wind is an annoyance and not an asset and so I have chosen to keep the keelson straight. Here's a view of the setup for an EA kayak. 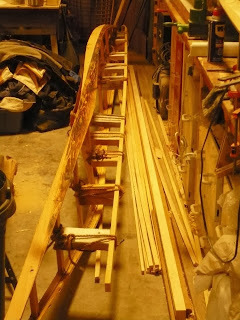 The rib blanks have been inserted into their mortises and await bending. 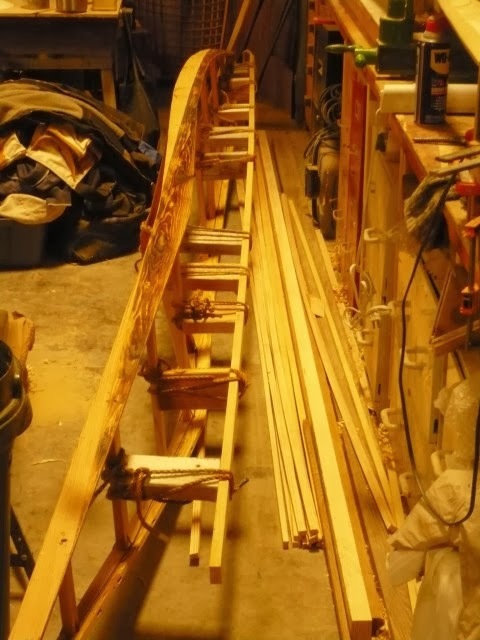 The height of the ribs will be judged by eye and the keelson won't be added until all the ribs are in place. This is probably more efficient than what I am doing if you know what the bottom profile of the boat should look like. I imagine they bent a few key ribs and filled in the rest for a smooth transition between them.